If you’re looking for some movers in La Jolla then you’re in luck. We are the La Jolla movers with the experience and expertise to help you with all your moving needs. Whether you want to move home or your business, we can help you with professionalism and care. We do moving tasks of all types, no matter how difficult they may seem to be. Why Choose Us Over Other Moving Companies in La Jolla? We are a family owned business who has been helping homeowners and businesses move since 2002. This has given us the experience and expertise to help you move as well. We like to plan your move right from the beginning, so everything goes smoothly and so there are only minimal hiccups along the way. We believe that moving should be a pleasurable experience full of excitement, not the nightmare that it is for many people. Upfront Pricing– Are you looking for a La Jolla moving company who gives you upfront pricing? With us we tell you the price before we start working on your home or business, so you don’t experience any surprise charges like you could with other La Jolla moving companies. Proper Handling of Your Belongings – Are you looking for movers in La Jolla who won’t break or damage your household items or business goods? We have professional staff who will treat your things as if they were their own. Local Moving Services– If you’re a local in La Jolla then we would love to help you move your home or business. We can move you to anywhere in San Diego, and even Los Angeles or Las Vegas. 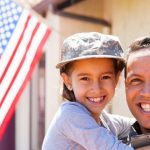 Military Moving Services– If you’ve ever been in the military then we are the discount movers in La Jolla for you. We appreciate your service to our country, so we’ll give you generous discounts on our services that other La Jolla moving companies won’t offer you. Commercial Moving Services– If you want to move business premises then we are happy to help you. We help with businesses of all types both large and small, and we can handle the job no matter how tough it may seem to be. National Moving Services– If you want to move to another state, we are happy to help you for a reasonable price. We are professionals who plan the move well from the beginning, and who treat your possessions with care. Give us a call today if you’re looking for a reliable moving company in La Jolla. We are known as one of the top moving companies in La Jolla .